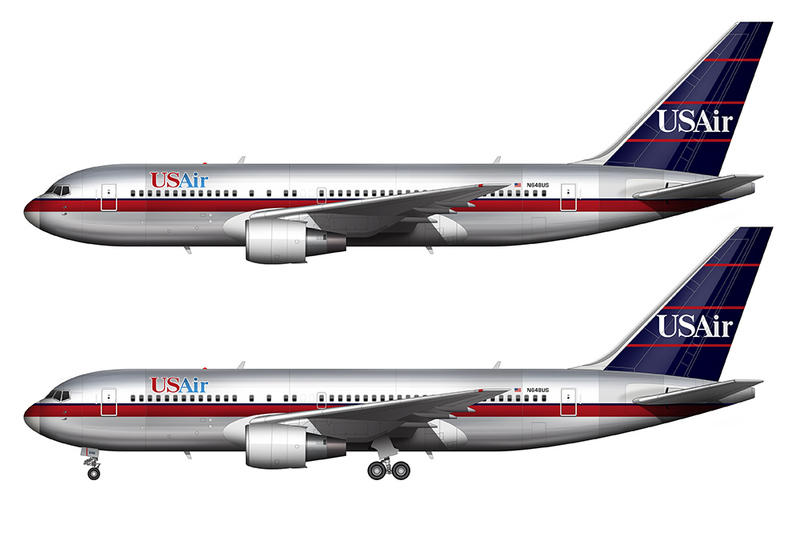 As I mentioned in my recent post about the Piedmont 767-200 illustration, I couldn’t help but to do this polished aluminum USAir version at the same time. 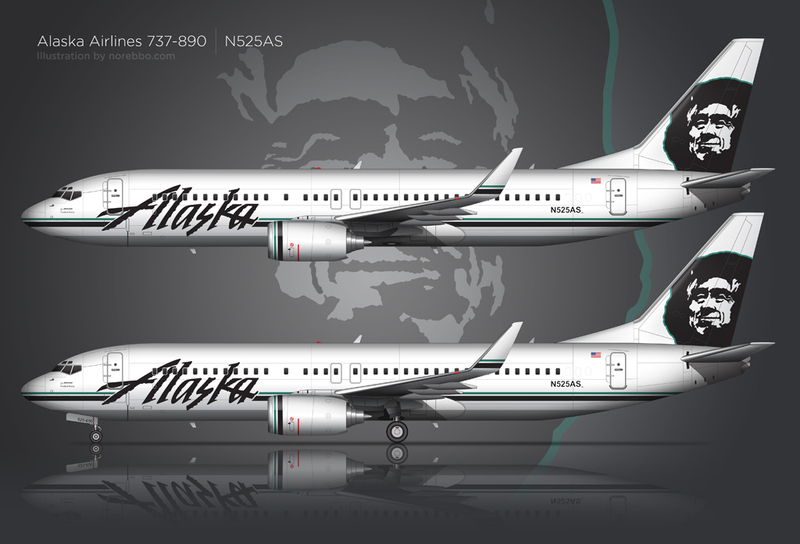 It’s certainly not a very exciting airline and aircraft combination, but I was feeling somewhat of a nostalgic vibe at the time and I jumped at the opportunity to create another classic livery for my archives. And it just so happens to be that it was USAir that bought out Piedmont in 1989 (and American Airlines bought out USAir/USAirways last year), so now I’ve got the complete set of 767-200 illustrations from this series of related mergers. As far as airline liveries go, there isn’t much to this classic scheme. Created by SBG Partners and unveiled in 1989 (right after the Piedmont merger), it’s got all the lines, colors, and simplicity of something dreamed up in the heart of the 1980s. 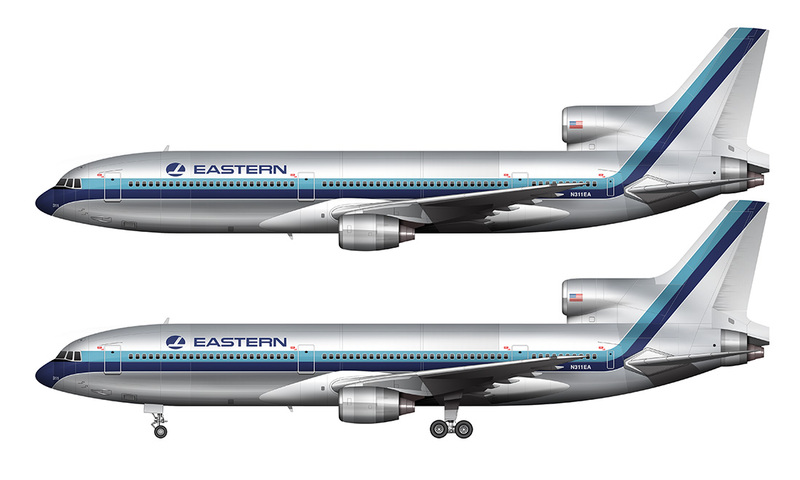 I was able to apply it to my polished aluminum 767-200 template fairly quickly, and as matter of fact, this may have been the easiest livery recreation that I’ve ever done! This kind of simplicity is very much appreciated after spending so much time on some of the others in my collection. It all balances out in the end, I guess. Unfortunately, I don’t have very fond memories of USAir. 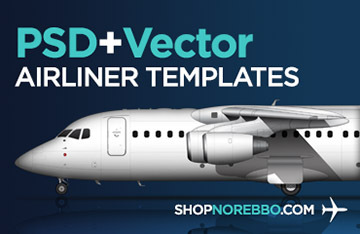 They suffered a series of unfortunate (and careless) mishaps back in the 1990s that were pretty scary to read about, and to make matters worse, this was the preferred airline for the company that I worked for starting in 1996. I didn’t mind the business travel associated with that job, but having to fly USAir really deflated my sense of adventure and excitement for each trip. 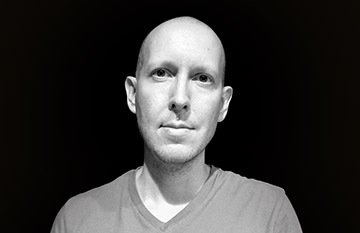 Thankfully I survived!